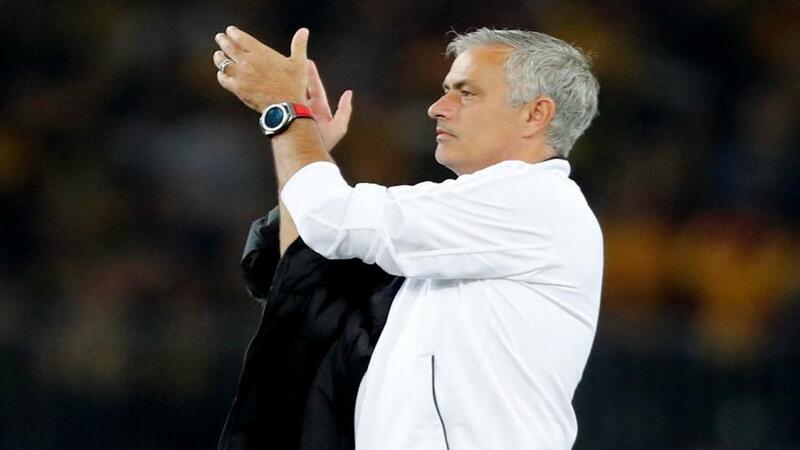 Will Jose Mourinho be applauding his Manchester United team after their match with Arsenal? It's a clash of the titans as Manchester United take on Arsenal. Opta presents the tale of the tape. "Arsenal are unbeaten in their last 19 games in all competitions. They last went 20 without defeat between April/November 2007 (28 games)." They are [1.65] to extend that run in the Double Chance market. Manchester United are unbeaten in their last 11 home Premier League games against Arsenal (W8 D3), since a 0-1 loss in September 2006. The draw is [3.65]. Arsenal lost both Premier League meetings with Manchester United last season - they last lost three in a row against them in November 2012. Manchester United are [2.5] to win. Arsenal have only scored more than once in three of their last 39 away league games against Man Utd. Under 2.5 goals is [2.48]. This is the first time Man Utd have hosted Arsenal in a midweek Premier League match since May 8th 2002, when Arsenal won 1-0 to clinch the title thanks to a Sylvain Wiltord strike. Another Arsenal win is priced at [3.0]. Arsenal have lost their last three midweek Premier League games (Tuesday, Wednesday, Thursday), conceding three goals in each defeat (vs Swansea, Man City and Leicester last season). Over 2.5 goals is [1.65]. Arsenal have scored at least twice in all six of their away league games this season - only Watford last term have scored 2+ goals in their first seven games on the road in a single Premier League campaign. Both teams to score is [1.54]. Manchester United have conceded 23 goals in their 14 league games this season; it wasn't until their 30th Premier League game of 2017-18 that they conceded their 23rd goal last season. Over 3.5 goals is [2.58]. Arsenal are unbeaten in their last 19 games in all competitions. They last went 20 without defeat between April/November 2007 (28 games). They are [1.65] to extend that run in the Double Chance market. Arsenal have won four of their six away Premier League games this season (D1 L1) - as many as they had in 19 on the road last term (W4 D4 L11). Arsenal are [2.2] Draw No Bet. Man Utd boss Jose Mourinho has never previously lost in five meetings with Arsenal manager Unai Emery (W4 D1, all in La Liga), with this their first meeting since October 2013 (Mourinho's Real Madrid beating Emery's Sevilla 4-1). United are [1.81] Draw No Bet. Arsenal's Pierre-Emerick Aubameyang has scored with each of his last 10 shots on target in the Premier League. Aubameyang is [2.7] to find the net.